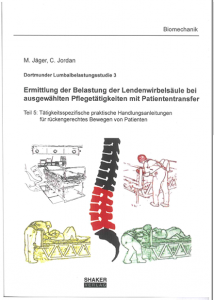 Concrete recommendations for specific activities in the care sector are given in the fifth publication within the framework of the Dortmund Lumbar Load Study 3 (DOLLY 3). 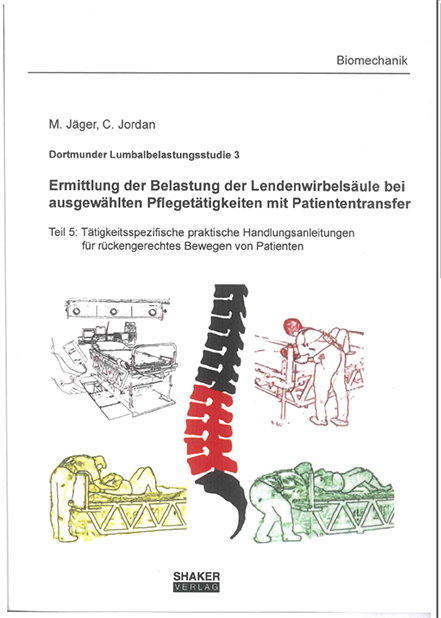 In DOLLY 3, the third Dortmund Lumbar Load Study, the load on the lumbar spine through manual patient handling was investigated. The current publication (part 5) contains concrete recommendations in the form of task-specific practical action instructions. These are based on pair-wise comparisons of task executions combined with varied spinal loadings, in order to identify the essential differences of posture and force development of the caregiver with respect to a back-friendly handling of patients. In summary, the newly developed scientifically substantiated actions instructions provide an effective basis to limit the biomechanical overload risk for the spine of healthcare workers.